Majorca has long been a popular tourist spot, especially for families and sun lovers. It offers everything you would expect from one of the Balearic Islands, and so much more. I lived there for six months and I loved it. 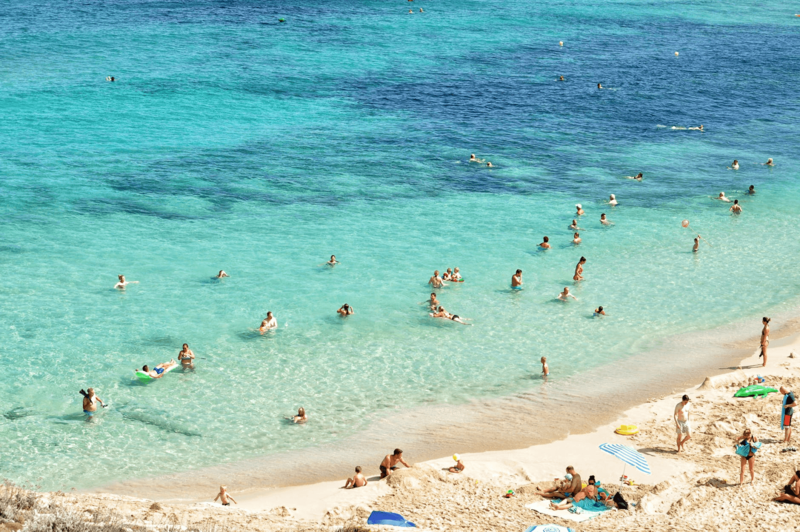 If you are planning on visiting Majorca for the first time, it is always a good idea to do a bit of research so you can find out about the best places to visit, as well as some useful tips that will help you to save money and make the most of your holiday. Read on to discover everything you need to know about booking a trip to Majorca. There is only one place to begin, and this is with the name of the destination, which causes a lot of confusion, as some people say Majorca and others say Mallorca. So, let’s just clarify this: Mallorca and Majorca are indeed the same island. A lot of people assume that the difference in the names comes to differences in the Spanish dialect, but this is actually not the case. Quite simply, Majorca is the British term for the island. It stems from Latin, as major translates to bigger island. This makes sense when you consider that Majorca is the largest of the Balearic Islands. Apparently, because Brits struggled to get their tongue around the pronunciation of the double L, they changed the name to Majorca. As the weather is one of the main attractions in Majorca, you will obviously want to pick the time of year you visit with care. Most people go in the summer when the weather is at the hottest. However, if you are looking to visit when the island is quieter and the temperatures are warm yet starting to cool down, autumn is a good choice. Winter is sunny but cold, and in spring the temperatures start to gradually rise. You can expect 300 days of sunshine, though, so you do have a pretty wide scope of the year to choose from. You have many different accommodation options at your disposal, including a huge selection of hotels. You should have no trouble finding a hotel that suits you – from budget hotels to five-star hotels; there is something for everyone. There are also a number of family-friendly hotels, with kids clubs and other activities. A lot of people like to book one of the holiday villas Majorca has to offer. This gives you the freedom of your own place, typically with a private swimming pool, giving you the ideal base to plan your holiday as suits you. Where are the best beaches in Majorca? There are so many amazing beaches in Majorca. Some of the most popular include Formentor Beach, which is in the north east of the island. You also have Cala Varques in the east. If you are visiting south Majorca, Cala Blava and Es Trenc are stunning. You will also find Cala Mondrago and Portals Vells to the south west. The latter offers a paradise of clear, calm sea, with three small coves. A lot of these beaches are not overcrowded, so they are great if you are looking for some peace and tranquility. In total you will have 262 white beaches to select from, and 60 of these boast a blue flag, so no matter where you end up, you are unlikely to be disappointed. What is the local food like? When you travel to Majorca, you should definitely embrace the local cuisine. Tapas is a must. This enables you to sample an array of small, local dishes. In Majorca, a typical breakfast will be a coffee and a sweet pastry, which tends to be enjoyed later in the morning, usually around 11.00 am. If you are a wine drinker, you won’t be disappointed. A big part of the terrain on this island is covered with vineyards. Last but not least, you will want to get an understanding of the different tourist attractions in Majorca before you leave so that you can incorporate some into your trip. Some of the places worth exploring is the Calvia coastline, with lots of bays, cliffs, and foothills, as well as the fishing port of Cala Figuera. The quiet country town of Petra is a good choice if you are looking for something a little bit different, and there is a really interesting museum here. Another place that comes highly recommended for everyone is Valldemossa. This is a hilltop town, which is set between the Mediterranean Sea and the Tramuntana Mountains. This historic village has undeniable charm, featuring buildings with old stone facades and steep pedestrian streets. There is also an incredible Carthusian monastery that was built in the 14th century. This is the Real Cartuja de Valldemossa, and you cannot visit the area without checking it out. Hopefully, you now have all of the information you need for booking the perfect holiday to Majorca. There is so much to see and do in this destination, and so you are bound to have an amazing time. While you will want to plan some sight-seeing trips, make sure you leave some days free too so that you can relax and enjoy the islands at your own pace.